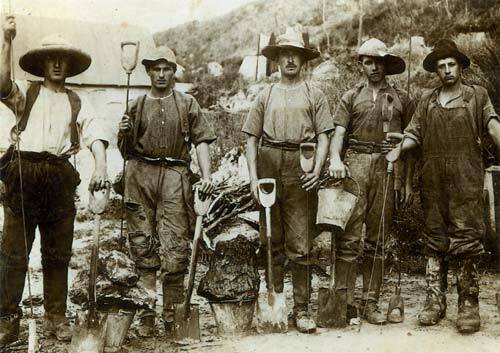 At the end of the 19th century, gum diggers, many of them from Dalmatia, searched for kauri gum in Northland. These Dalmatian diggers stand with their probes which they used to locate gum in the swamps. Once the gum had been found, they would set to work to dig it out with their shovels; it was hard and very dirty work.